Everyone likes things that can be used for multiple purposes. This card layout can be made two different ways from the same sketch. One is the way it's shown here, with everything attached to the front of the card. The other is to only attach the right side of the circle image to the right piece of decorator paper. Then you can make the wrap-around fold out like hinges. 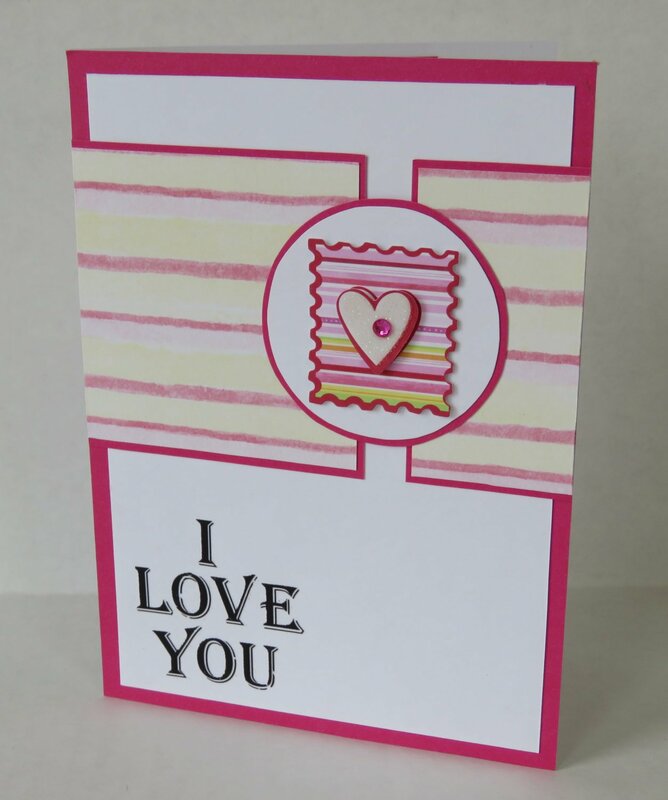 For my card, I started with pink card stock and matted white card stock on top. The rub-on phrase in the bottom corner determined the size of the decorator paper panels above it. 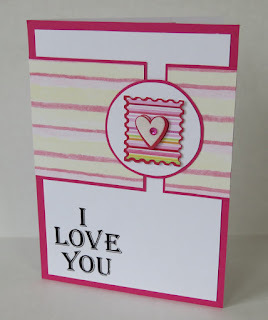 The 3D postage stamp embellishment is centered in two circles of card stock and attached to the decorator paper panels. 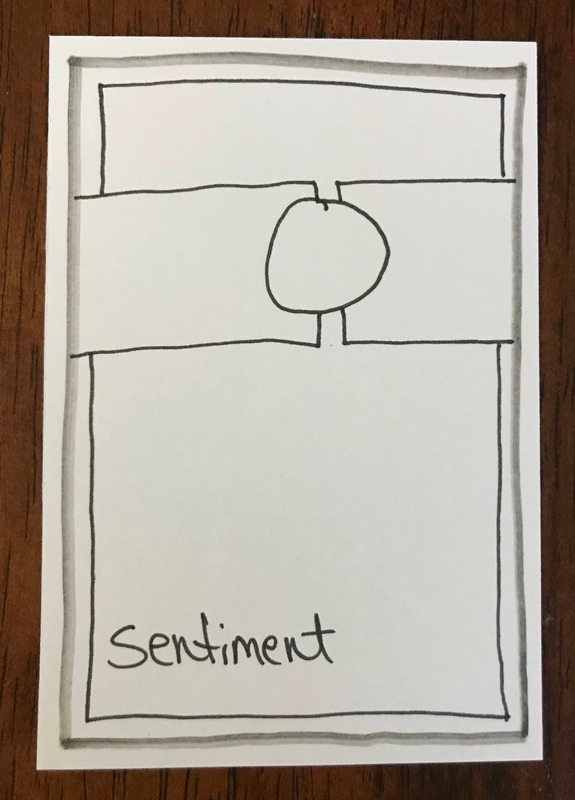 Ready to make your own cards from this sketch? Start with the two-color background. 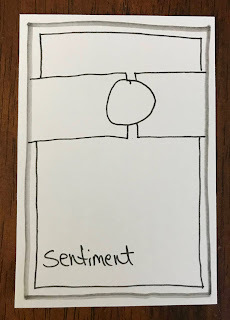 Then add your sentiment so you know exactly how wide your decorator paper panels can be. Want to make the panels fold out like a gate? Only attach them on the outside and give them a good crease. Adhere the circle embellishment on one side only, so it moves with the panels. Love this card? You can find it, along with many other paper crafts and wood gifts, in our Etsy shop. Come visit today to buy it and get lots of ideas and inspiration.